Special Guests for Sunday Feast - July 10, 2016 ~ The Toronto Hare Krishna Temple! 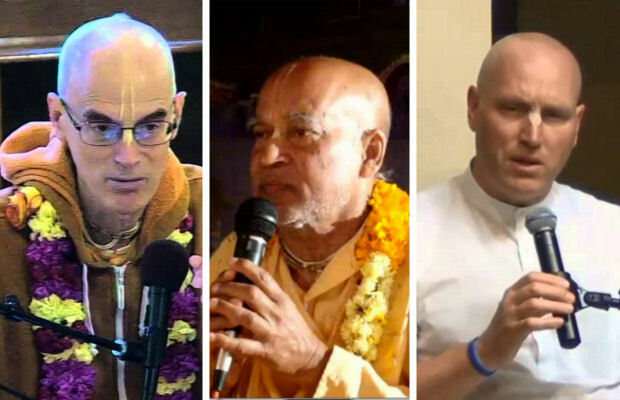 On Sunday, July 10, 2016, the Toronto Hare Krishna Temple will be welcoming three very special devotees to our weekly Sunday Feast program: Dravida das, Subhag Swami, and Vaisesika das! This Sunday will mark the final Sunday Feast before our biggest festival of the year, Ratha-Yatra (Festival of India)! To help set the right mood, we will be having an extended program (the vegetarian feast served after 8:30pm) on that Sunday. It promises to be a special evening and everyone is welcome!